>OM Parkash Goyal & Sons Pvt. Ltd.
OM Parkash Goyal & Sons Pvt. Ltd.
OM Parkash Goyal & Sons Pvt. 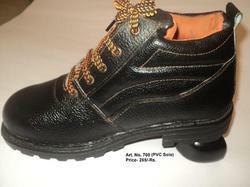 Ltd. - Manufacturer of acid resistant shoes, industrial leather shoes & protective footwear in Delhi. 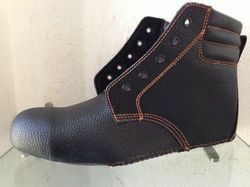 We are , a renowned manufacturer of leather and safety footwear uppers ( open , strobelled and lasted) from Kanpur , India. We have a very modern and advanced fully equipped safety footwear upper (lasted and strobelled ) manufacturing unit equipped with the latest italian lasting machines and german strobelling machines , with a capacity of more than 100,000 pairs a month , we are socially and technically audited for a lot of reputed safety PPE manufacturing companies . We have an experience of working on a diverse range of uppers , for example on printed leather , corrected grain , crazy horse , suede and nubuck , with the option of waterproof (DIN) leathers as well. 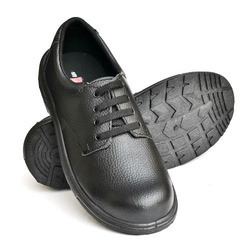 We bring forth an excellent range of PVC Safety Shoes that are manufactured using premium quality raw material and latest techniques at vendors' end. Our offered shoes are sourced from the reliable and certified vendors of the industry. These shoes are examined on set quality parameter of quality in order to deliver high quality product at clients' end. In addition to this, shoes offered by us are highly praised among our clients for their durability and light weight. Clients can avail these shoes from us at pocket friendly prices. We are the leading manufacturer, exporter, and supplier of qualitative range of Beston PVC Sole Safety Shoe to our clients. These products are designed using the best quality Flexible PVC Injected & synthetic leather in compliance with the set industry standards. In order to meet various requirements of clients, we offer these products in assorted shapes and sizes. Apart from this, our clients can avail these products from us at reasonable prices. 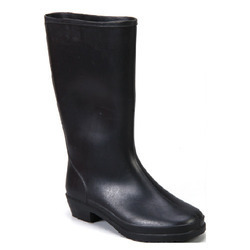 We are one of the leading firms of Safety Gum Boots. These boots are made using the superior techniques and optimum quality component which is acquired from truthful sellers of market. This boot is extremely utilized in the market due to optimum quality and longer life. To uphold the industry norms, experts also check these boots on diverse industry parameters. 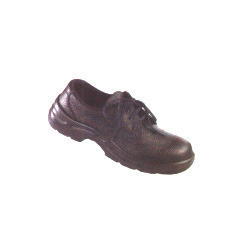 We are one of the leading supplier of Safety Shoes -SSS-03 in India. 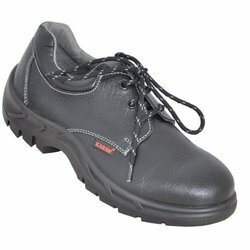 Manufactured using superior quality PVC material, these safety shoes assure durability and comfort. Not only this, these safety shoes also have properties of sweat absorption capacity. Molded PU sole available in double / single density & double color sole. 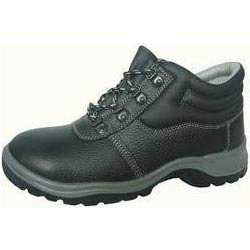 We are the famous company known for providing Safety Shoes to the clients. Offered range is designed using the best quality Flexible PVC Injected souls, synthetic leather, and chrome leathers in compliance with the set industry standards. This product is used in various industries for safety purposes and is available in bulk with us. Lastly, we assure timely delivery. 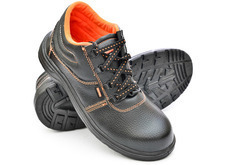 We are offering quality range of Industrial Safety Shoes, manufactured from high quality genuine leather and have a smooth texture, keeping in mind the extreme working conditions in various industries. Available in different sizes and colour, our range is preferred for different industry applications . With the aid of advanced technologies and modern techniques, we offer an extensive range of PU Safety Shoes that are light in weight and are easy to carry. Our entire product range is manufactured suing skin-friendly raw material and modern techniques. Clients can vial them in standard sizes and are in adherence with set quality policies.